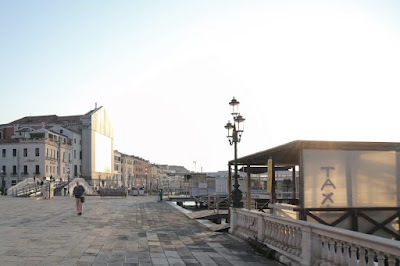 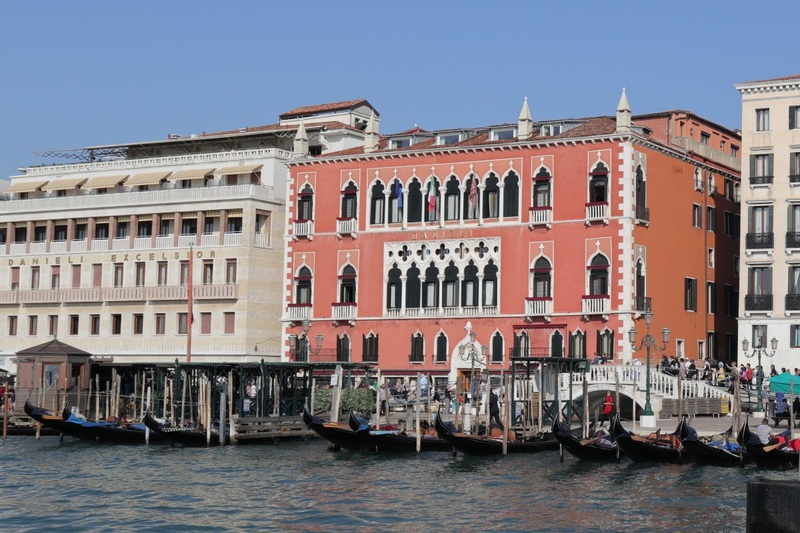 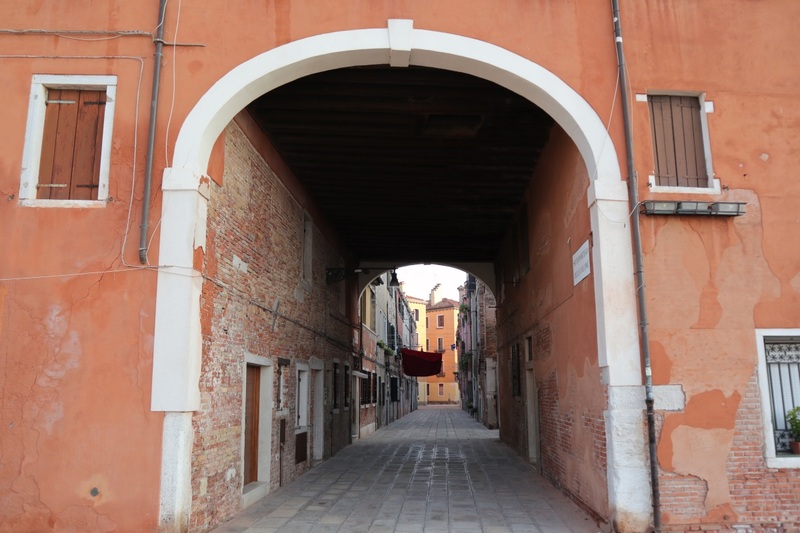 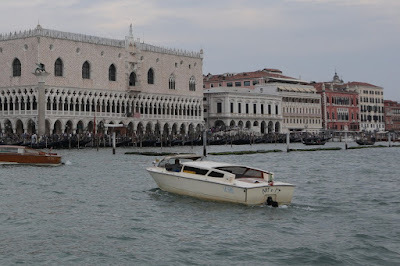 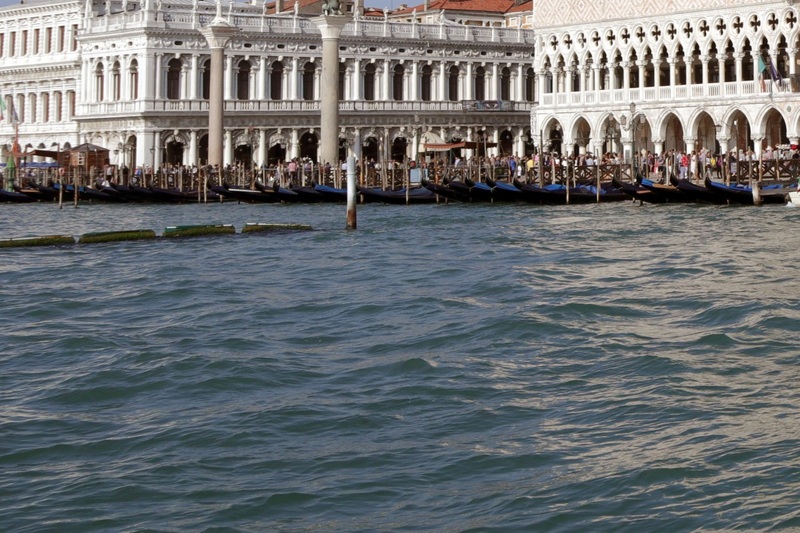 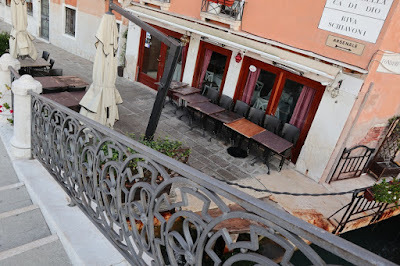 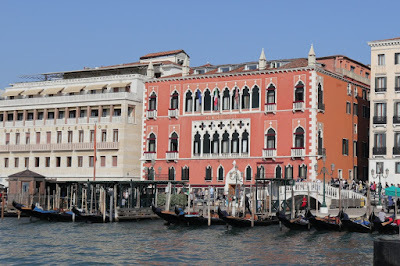 Along the Saint Mark's Canal seaside of the Castello sestieri district there's several locations that's shown in Aria. 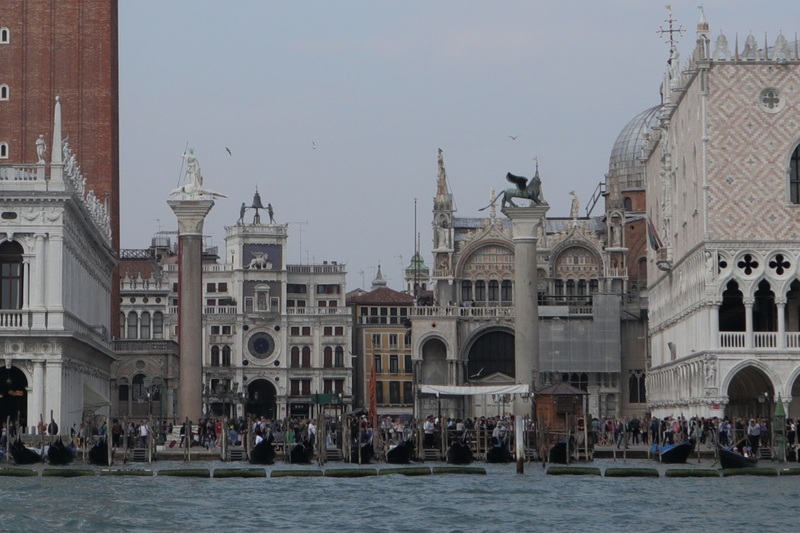 Starting out at Saint Mark's Square. Next to the square is the Doge's Palace shown on the right here. 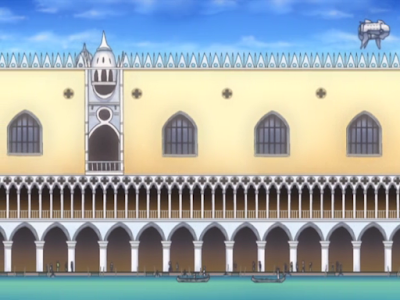 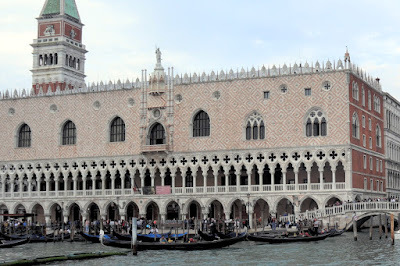 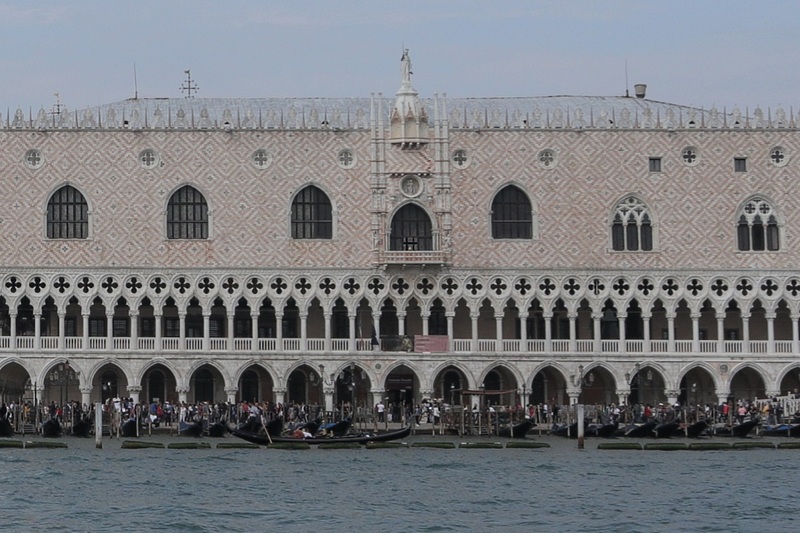 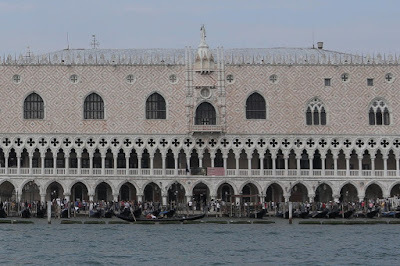 Full view of the Doge's Palace. 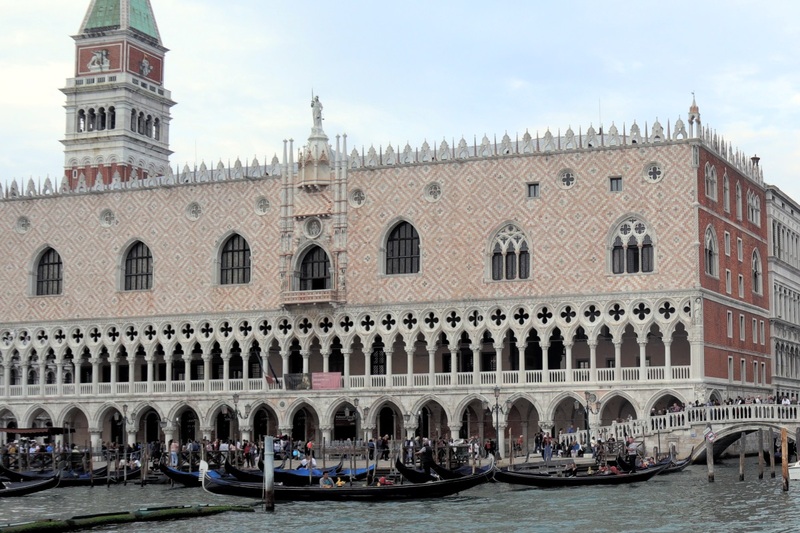 On the right of the palace is the Ponte della Paglia bridge, which is located in front of the Bridge of Sighs. 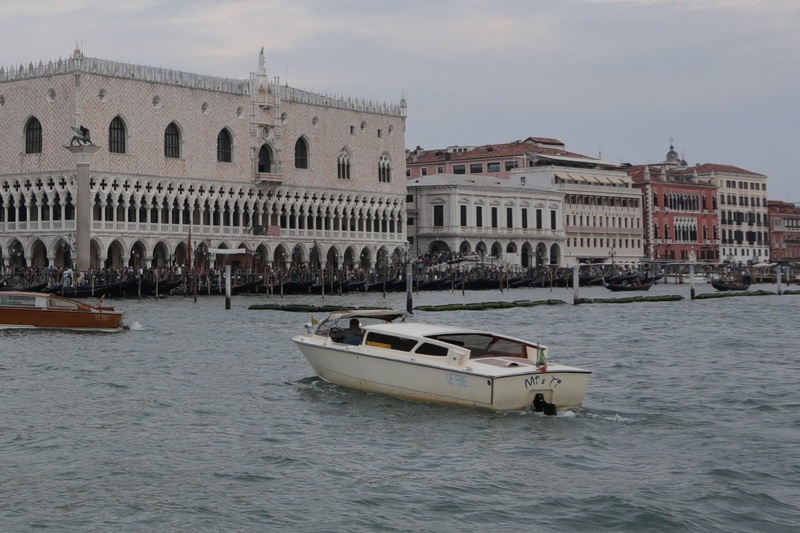 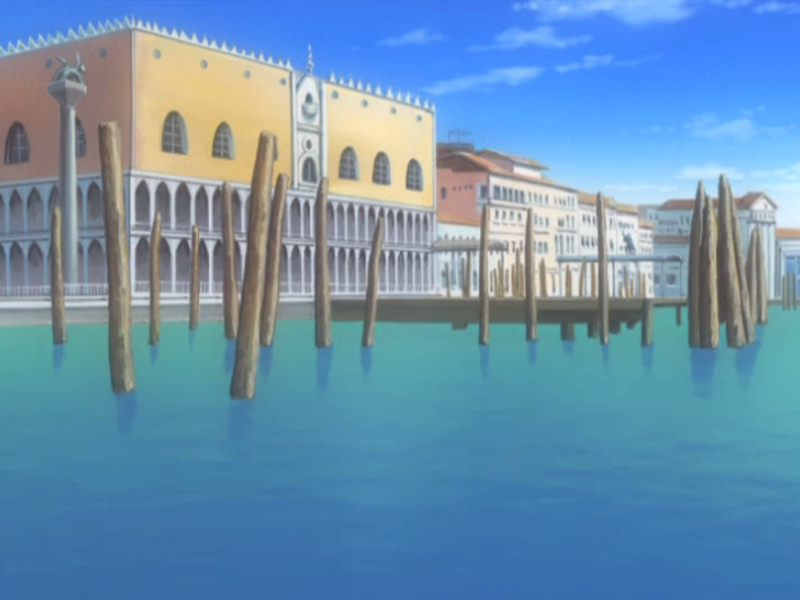 You can see several more buildings to the right of the Doge's Palace here. 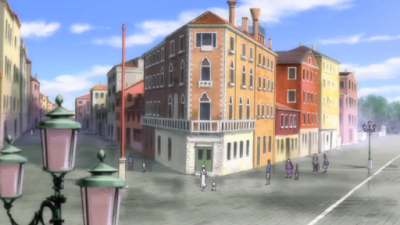 If you look closely you can see a building with a red front. 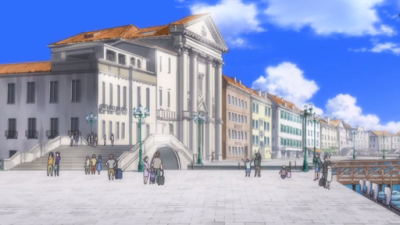 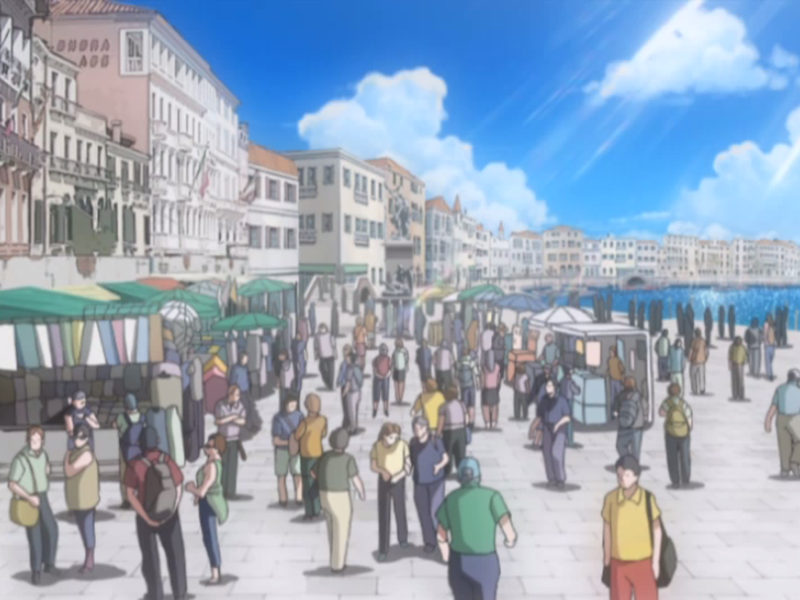 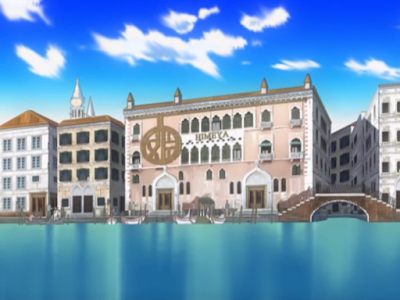 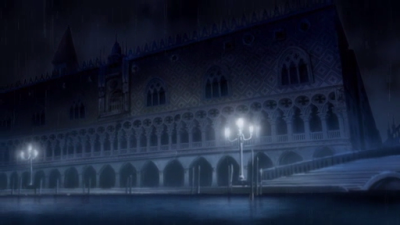 The building with the red front is Hotel Danieli, which was used as a model for Himeya Company in the show. 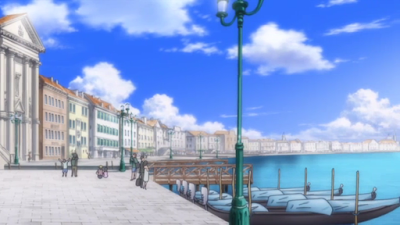 The bridge to the right of the hotel is named Ponte del Vin. 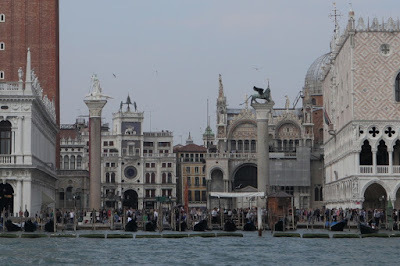 From the Ponte del Vin you can get this picture towards the east. Continuing east you get to this location that was shown in a panning shot. The bridge on the left here is the Ponte de la Pieta. 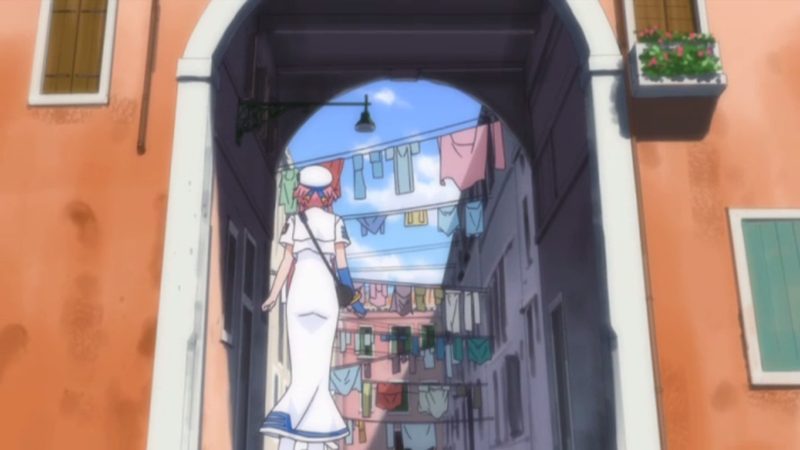 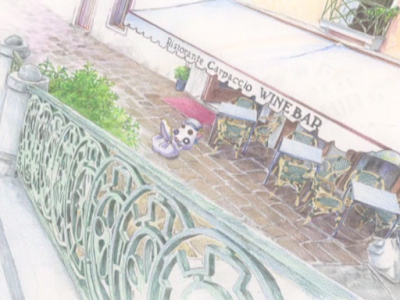 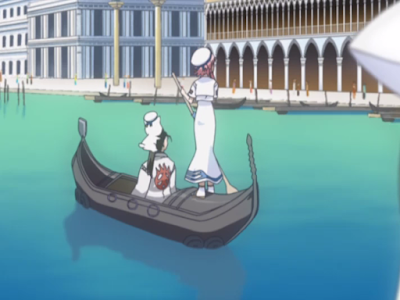 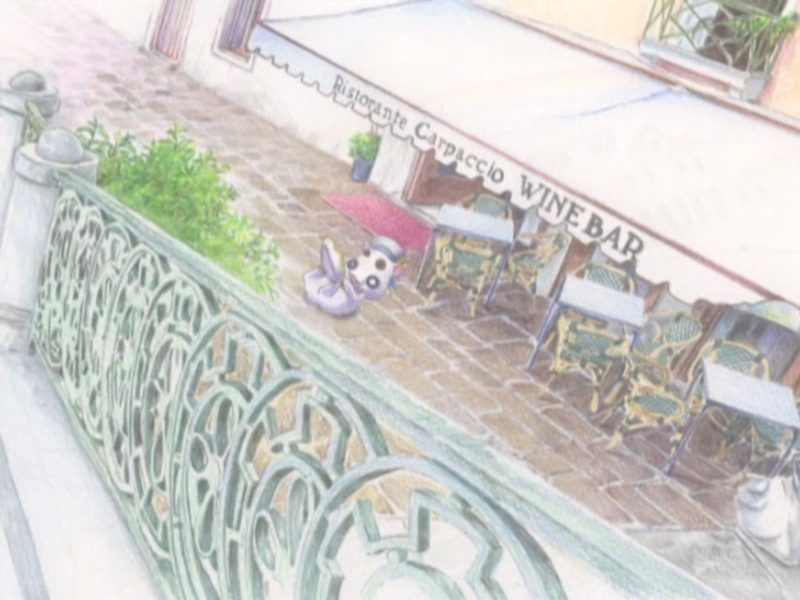 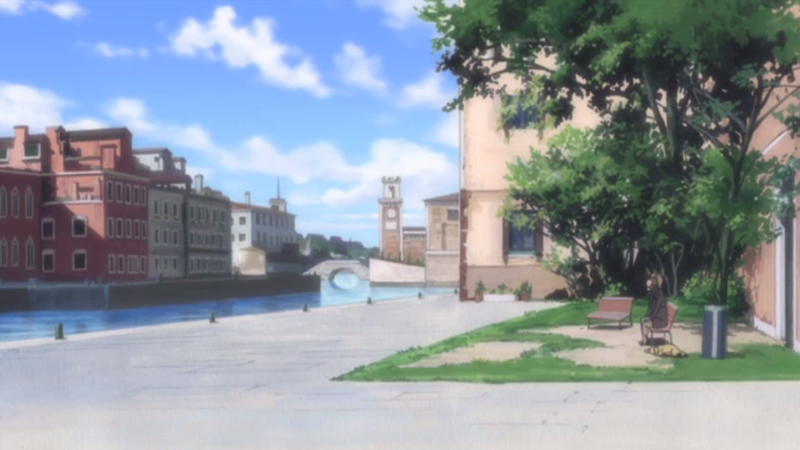 This restaurant is next to the Ponte Ca' di Dio bridge and is named Ristorante Carpaccio, just like in the first season ED. 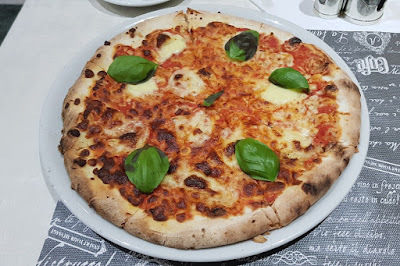 Although I didn't eat here, I did eat a Pizza Margherita elsewhere while in Venice. 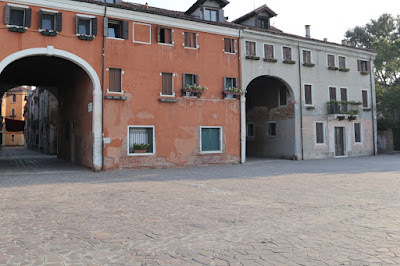 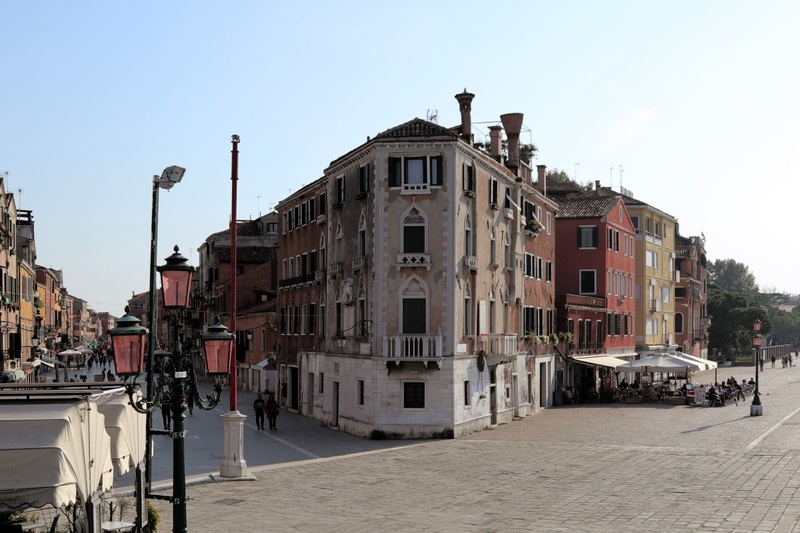 This small park is located next to the Museo Storico Navale naval history museum. 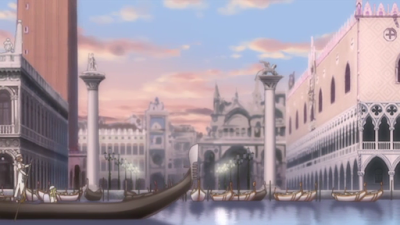 Far in the background you can see the towers of the Venetian Arsenal. I took this picture towards the east from the Ponte de la Veneta Marina o de le Cadene bridge. 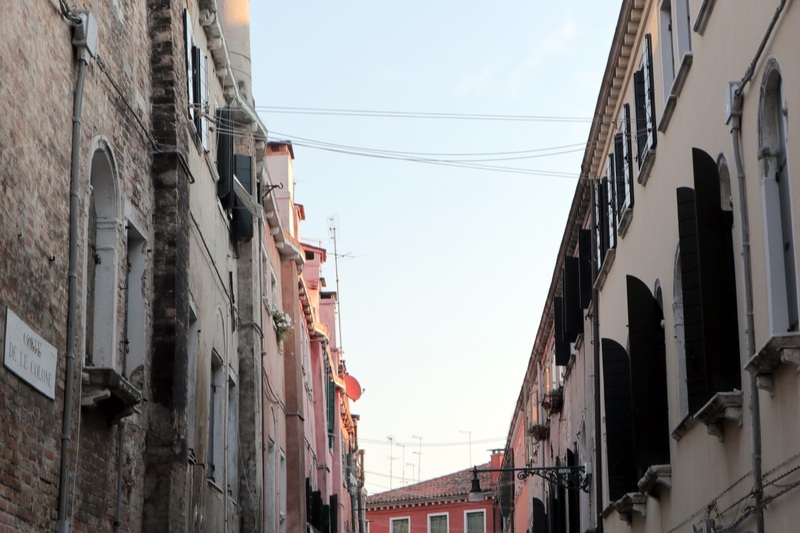 These apartment buildings are located at Calle Colonne. 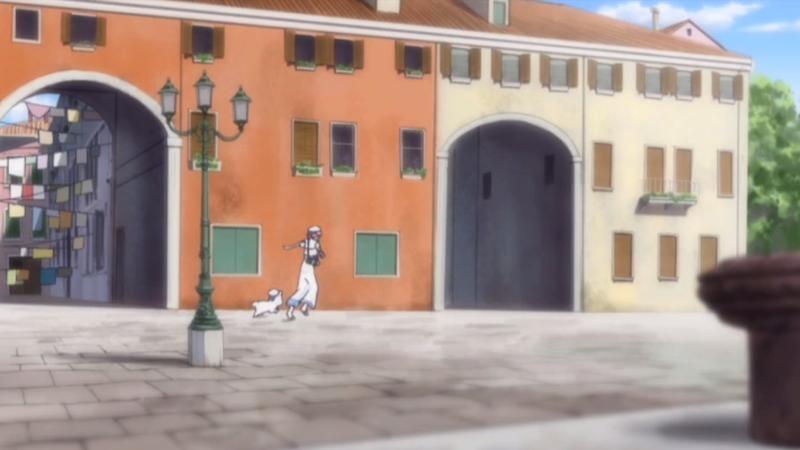 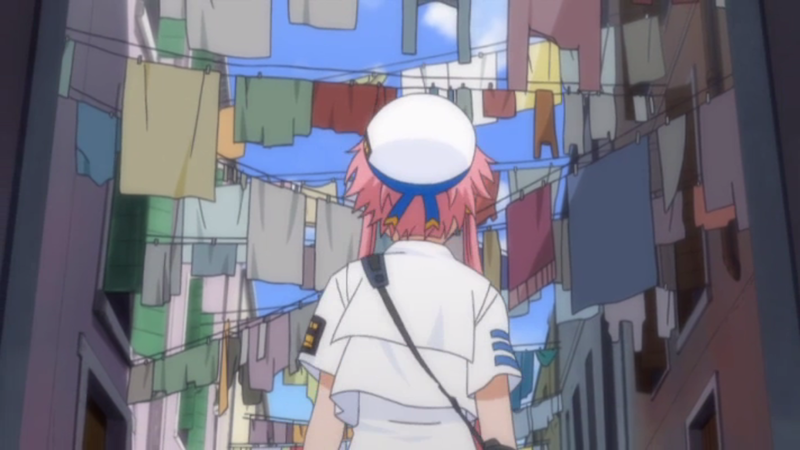 Akari runs towards the next archway. 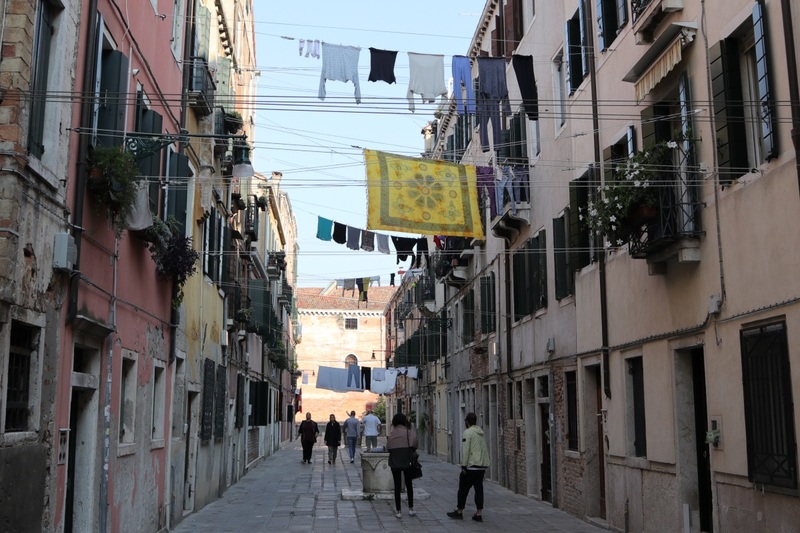 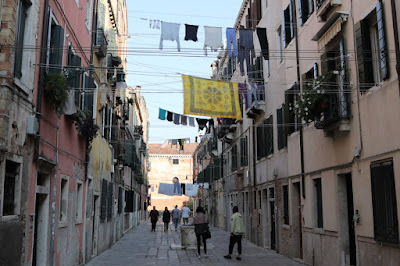 There weren't any clothes hanged out for drying here when I visited. 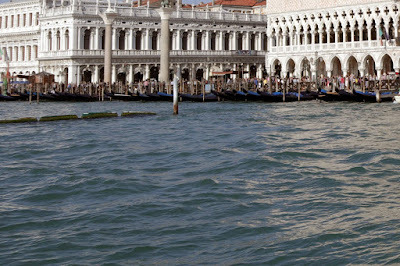 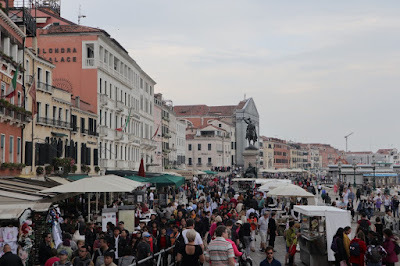 I did see some elsewhere in Venice though. 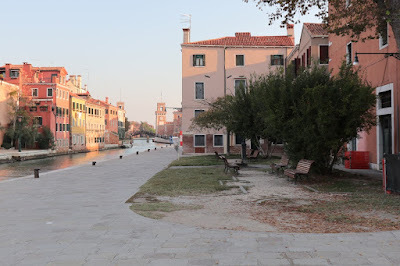 I've marked a path going from the Ponte del Vin bridge, past Ponte de la Pieta, Ristorante Carpaccio, Museo Storico Navale and Ponte de la Veneta Marina o de le Cadene, ending up at Calle Colonne in the map below. 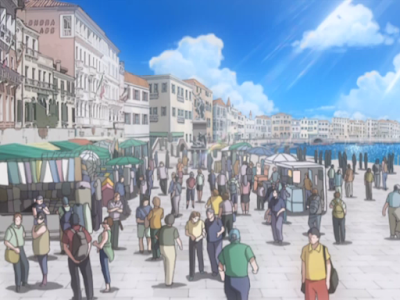 These locations were visited on 2018/10/14 and 2018/10/15. 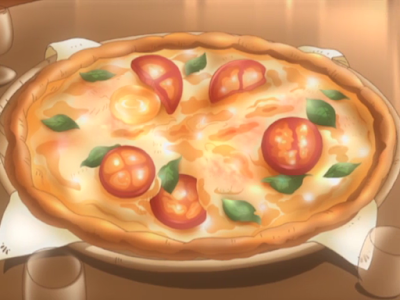 The pizza picture is from 2018/10/16.